This article is for anyone looking to get hired at CIO as a network engineer. We’re going to cover some basic information about CIO and then delve into a list of nine common CIO interview questions to get you ready for your interview. Each CIO interview question is followed by an answer suggestion that you can use as a base for your own answer. After the questions, you’ll find some miscellaneous, helpful tips to get you ready for your first important meeting at CIO. CIO is a cloud computing and IT management solutions company based out of Santa Barbara, California. CIO employees say that they’re given opportunities for growth within the company and the ability to earn additional certifications during their employment there. A CIO employee can expect a compensation package to include a 401k plan, a wellness program, health insurance options, paid time off, an FSA, and more. These are nine CIO interview questions that you’re highly likely to encounter during your interview. 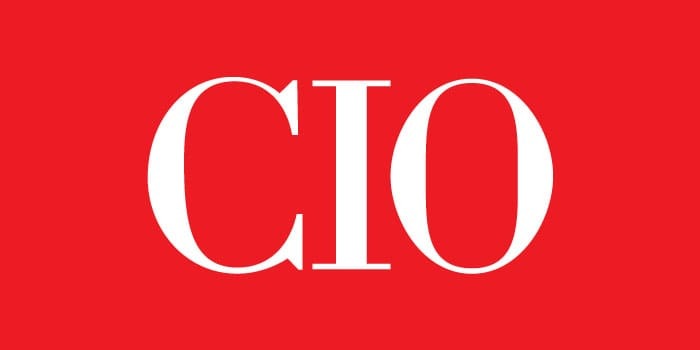 CIO primarily hires for network engineering roles. In other words, that’s the only position we’re providing questions for when it comes to this company. Practicing these CIO interview questions verbally will help increase your chances of winning a position at the company. The more you practice, the more confident your answers will sound on your interview day. Most CIO interview questions involve your networking experience but expect a few non-technical, behavioral-based questions sprinkled in. A4: This is one of the most common CIO interview questions – particularly for someone interviewing for a network engineering position. Your interviewer wants to see how well you’re able to explain the decision-making process behind a network design. Be sure to articulate what the benefits of the design are and why you chose it over other possible configurations. As with any company, you’ll want to perform ample research before attending an interview. Try reading through CIO’s blog to get an idea of the company’s interests and direction. Take a look at the press releases that have been put out by CIO to learn about recent news and where CIO is headed. Being able to reference some of this information during your interview could easily set you ahead of another applicant. Your ability to show that you understand core networking concepts will aid you in securing a position at CIO. Be able to explain what a VLAN is, make sure you understand subnetting, and be able to communicate what a root bridge is, for example. The list goes on, but you should practice explaining networking concepts to people who are unfamiliar with networking but familiar with the technical jargon. This way, you’ll know for sure whether or not you’re clearly communicating how each idea works. The latest collection of AT&T interview questions. All fresh Delta interview questions. We hope you found this CIO interview guide helpful! If you’ve already interviewed with CIO, we’d love to hear what the most difficult CIO interview questions you encountered were! Feel free to reach out with any questions you have about the CIO interview process in the comments. To view the current job openings at CIO, visit the CIO “Careers” page on their website. You can also visit the CIO Glassdoor profile to read testimonials from current and past CIO employees.